I feel like over summer I have so much extra free time since I am out of school that I become less productive. The structure of school helps me stay on top of my nonschool shiz. I have a lot less time to do things during school and I am better at planning my day because of it. Now that I am out of school and just working I am navigating that summer slump. I have been trying to keep myself on a pretty good schedule so I don’t get into that summer slump of sleeping in too late and not eating right and just going to work. Get out of bed!!!!!!!!! I cannot stress this enough. Setting an alarm and getting up at a reasonable time and starting your day will just set you up for success. I usually get up at either 7:30 if I have work at noon and 8:30 if I have work at two. It gives me enough time to get up, eat breakfast, go to the gym or run errands and get ready for work without being rushed. I like waking up early enough to enjoy my morning. Work can be so hectic I don’t need to start off the day in that same state of chaos. Make a schedule. Like I said in the above tip I get up so I have enough time to go to the gym. I am definitely a creature of habit so I like doing pretty much the same thing every day. I will wake up, go to the gym, come home and shower, eat and get my dinner ready to take to work, get ready for work and then leave for work. There is of course time in between, but those are the key points I need to hit before leaving for work. Write out your schedule. I feel like knowing what I have going on for the week and seeing it written down are two different things. I like visually being able to see what I am doing and what I have time to add to my schedule and sometimes what I need to take away. I also try to block times for things I love to do, like blog, go on a Target run or even just chill and watch Netflix. 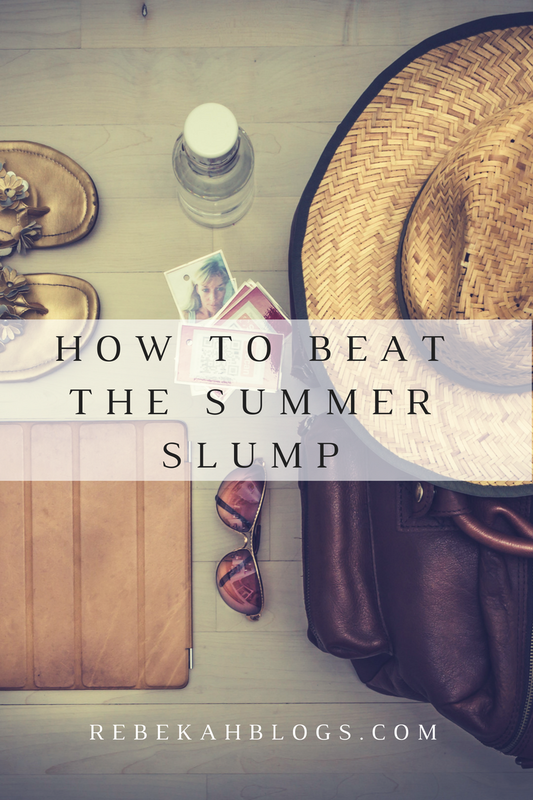 Make sure that you still enjoy your summer, don’t slam yourself with work and get burnt out. Make a list of goals and stick to them. If your goal is to consistently go to the gym then make it happen. Creating realistic goals for you to achieve this summer will give you something to work towards. School gives us a sense of accomplishment whether it is finishing a big paper or finishing the class you complete something and over the summer you don’t have that drive if you are not in school. Create realistic goals that you can accomplish. Write them down where you will be able to see them every day and accomplish your goals. Enjoy times with friends and family. I feel like over the summer it is so easy to just get in a pattern of your schedule and you forget to make time for your loved ones. Make sure to go hang out with your friends or significant other for a Friday night out or have brunch with your mom. It is important to still remain connected. Sometimes I get so hyper-focused I forget to just spend some quality time with the people I love the most. I’m all about making lists, it always makes me so much more productive! Yes it gives me such a sense of accomplishment and organization! !